As well as Ethereum and other AltCoins. We offer hosting from Curacao, an offshore hosting destination with incredible connectivity to the US and South America through Internap and LEVEL at NAP of the Americas. We offer dedicated servers, co-location, VPS servers and shared CPanel hosting as well as backup solutions. Many of our clients are financial institutions, caribbean based companies, small to large listed and non-listed online gambling companies and even Bitcoin caisnos looking for licensing. Customers host with us for gambling license reasons, Curacao’s strict privacy laws, fiscal benefits and access to a multi lingual workforce. We are not just a hosting company, we are a wealth of Caribbean related information pertaining to: Banks, Local Financial Institutions, Trust Companies, Licensing, Hosting, Telephony and many other services. We work with our customers on a one-to-one basis. We won’t sell you something you do not need and our policy is to ensure that your business runs at optimum performance on our hardware. If you need assistance or advice be it a technical or an offshore related business question, we have a broad range of expertise to assist you. We are available via our support desk should you have any questions, we regularly write articles to our blog and are available via telehone for a conversation too. We offer webhosting products from a unique location ideal for banking, gambling, finance, caribbean businesses and pretty much anyone who require an offshore hosting location with trusted privacy as well as security. We offer affordable shared hosting solutions starting from as little as €9 per month. Perfect as a means to start your offshore hosting endeavors. We offer state of the art offshore VPS hosting solutions running on SSD drives and on a fully redundant back bone. Require your own physical server? 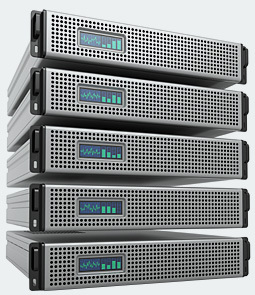 We can offer a dedicated servers to meet your requirements. If you require specialised hardware and resources, why not send your server to the island? We offer affordable co-location services to our customers. Need to know how to get a gambling license in Curacao or Malta? We can help! Start by reading our article outlining the cost of a Curacao gambling licese or a Malta gambling licese. We offer gambling hosting for local and internationl online casinos operating Fiat or Bitcoin based casinos. If you require gambling hosting for your Curacao or Costa Rica gambling business, we are the right partner for you! Curacao is a stable location for offshore hosting, ideal for Caribbean based companies, offshore banks, card processors, financial institutions and small businesses. Host a Bitcoin casino from a gambling friendly location, starting from €10 per month for a very basic plan. While Curacao is an affordable jurisdiction to obtain an online gambling license, it may not be within your budget. Running an online casino is not just about the license it is also about the corporate and regulatory responsiblity that come with running an online casino. In many instances it is the associated costs that are cause for a great deal of gambling enterprises to close their doors. We work with GamblingTec.com, an online casino games aggregation and investment business designed to help you get your casino or casino games business off the ground. Our offerings are built on a cloud based backbone. In its simplest form we have hardware pools, the resources of which are used to virtualise our various offerings to our customers. In addition we rent dedicated hardware such as servers, routers, rng units and switches. We also provide backup and failover services. We are a company that goes beyond the call of duty when helping our customers get their busines online and working at an optimum capacity. We will only sell you services you need and will do our best to assist you with an efficient use of resources. We are a group of professionasl with many years hosting and software development experience. We can help you with a wide variety of needs from your hardware, software and security needs to recommending reliable third party service providers. We accept the following payment methods: Skrill, NETeller, PayPal, Master Card, Visa and BitCoin. Offshore locations such as Curacao have high bandwidth costs. We sell our bandwidth at cost price. We do not offer unmetered bandwidth and if you have high resource requirements we will work with you to optimising your environment to be bandwidth efficient. you a fair price for the online gambling service. On the other hand, if you require investment partners or discounted services we will be able to assist with this as well through our casino investment partners at GamblingTec. GamblingTec.com is a casino games aggregation and investment company helping new operators get off their feet for as little as €450 per month. 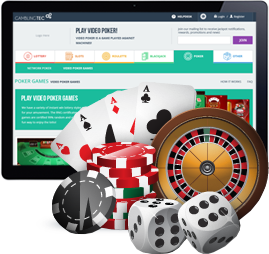 They have partnerd with a host of casino games companies and offer these games to casino operators through a unified platform. What makes them unique is that they allow their partners to choose their level of commitment to a new venture with the ultimate goal being to nurture new businesses into fully fledged stand alone licensed online casino operations.